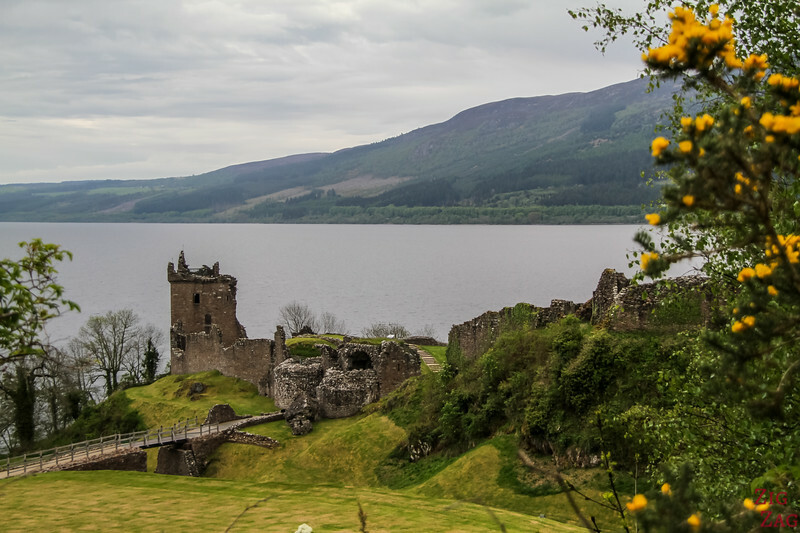 Located on one of the most famous Lochs, Urquhart Castle Scotland also known as the Loch Ness Castle has played a major role in Scottish History. 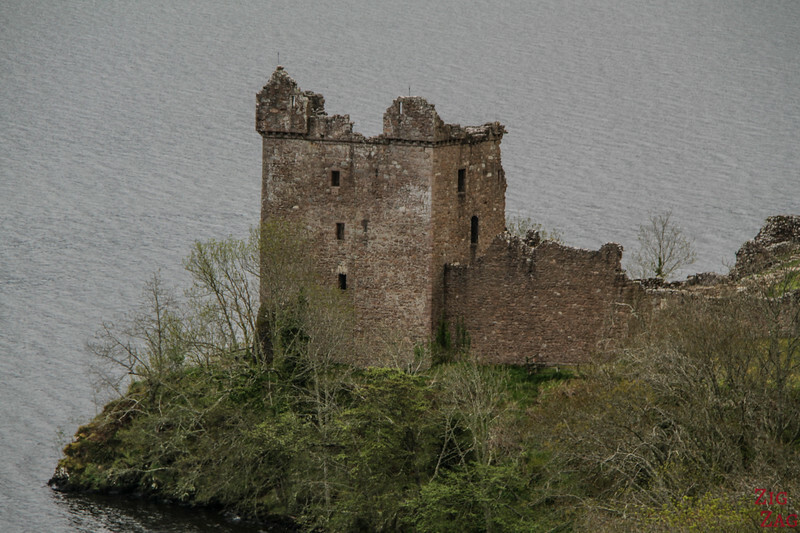 Nowadays the ruins of the Stronghold are opened to the public or can simply be admired from the road. 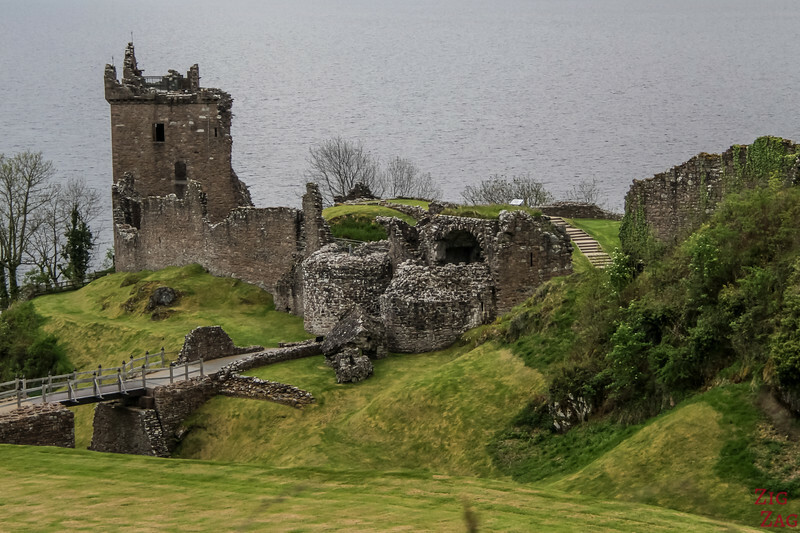 The ruins date from the 13th century to the 16th century, but there were earlier medieval fortifications on the site. 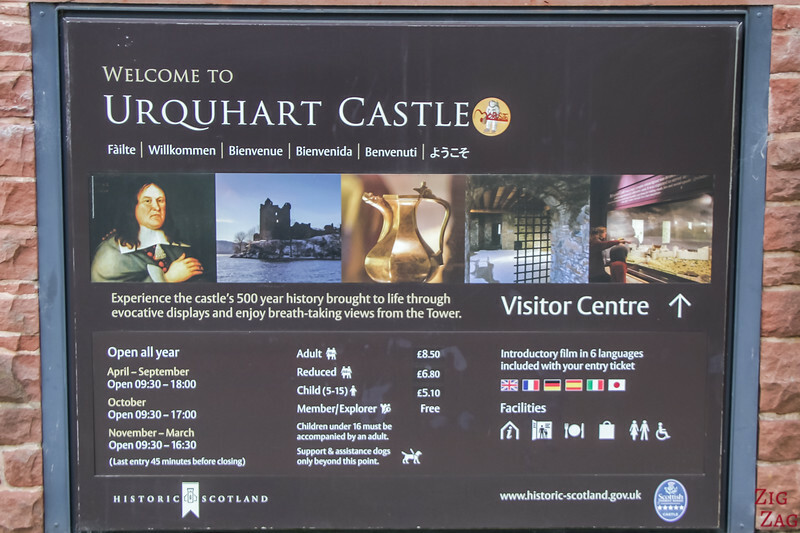 Through the centuries the stronghold of Urquhart has played a significant part in the Scottish history and inspired poets and artists. 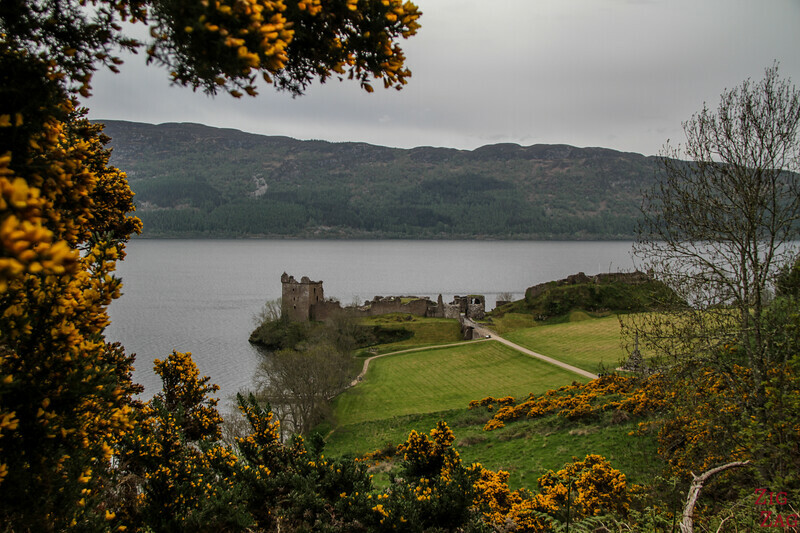 It is located at 2/3 of the Loch Ness towards the North on a headland. 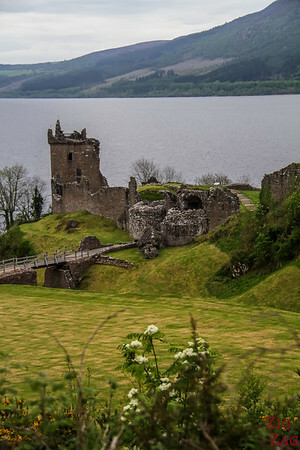 The Loch Ness is of course famous for its monster Nessie. 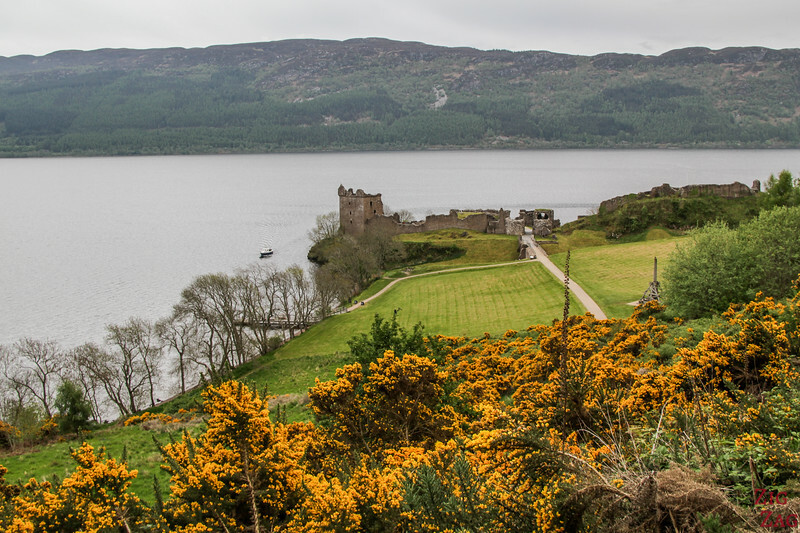 It is the second largest loch by surface area and the most famous lochs in Scotland. 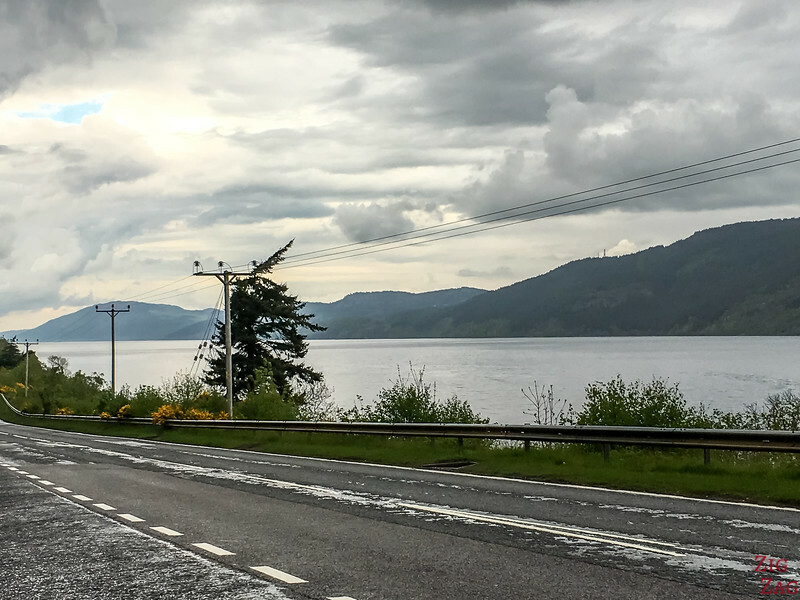 The drive on A82 takes you on the Western shore of Loch Ness. 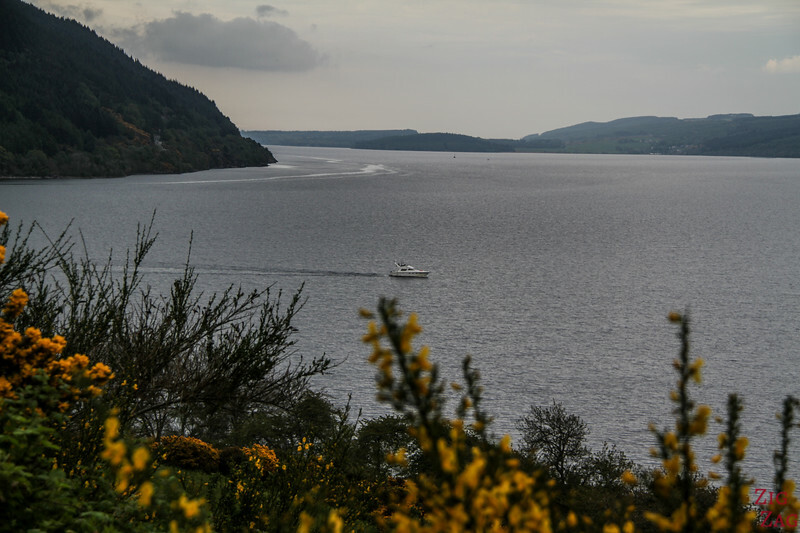 The second largest in Scotland by surface and the first one by volume, the loch is surrounded by low hills. 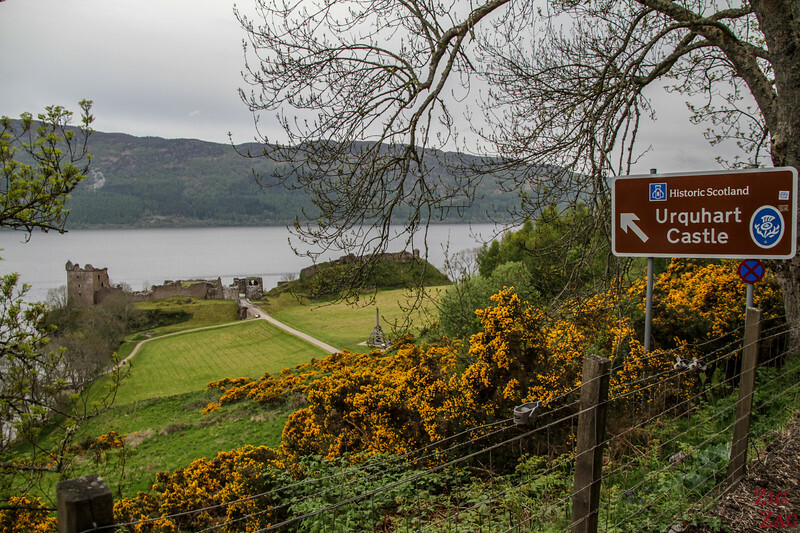 I must admit that this was not my favorite loch. 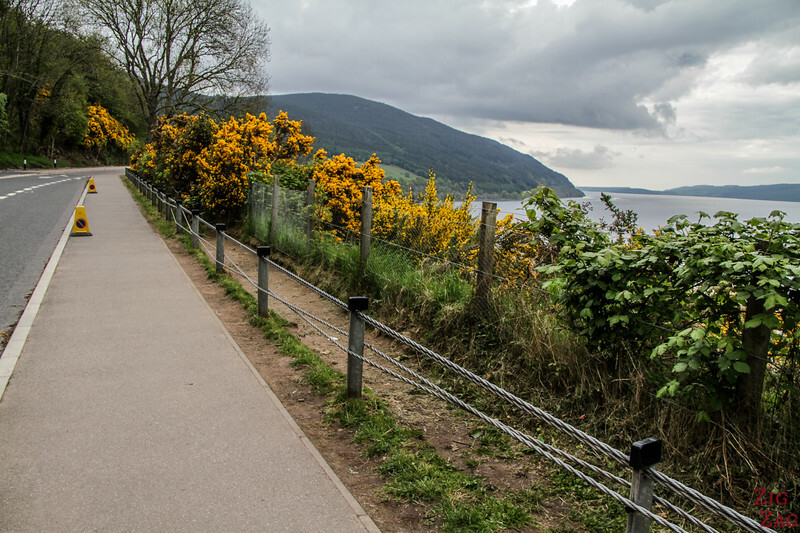 It gets very touristy but it is a lot less scenic because of the lower mountains, especially if you compare it to L﻿och Leve﻿n for example. 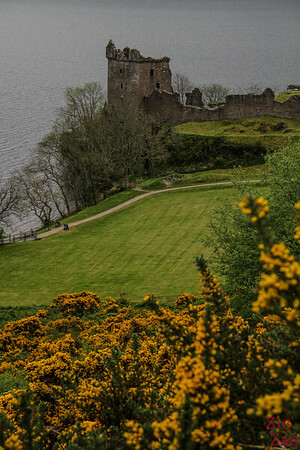 I arrived too late the visit Urquhart Castle. 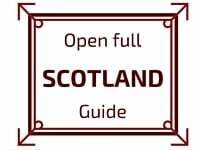 So I looked for places to see it from the outside. 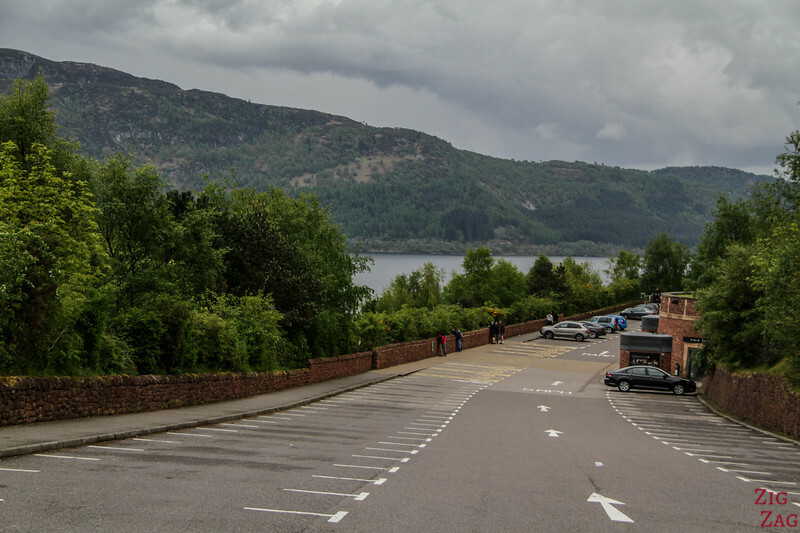 Along the parking there are many trees but a few holes allow you to see the ruins with the loch Ness behind. 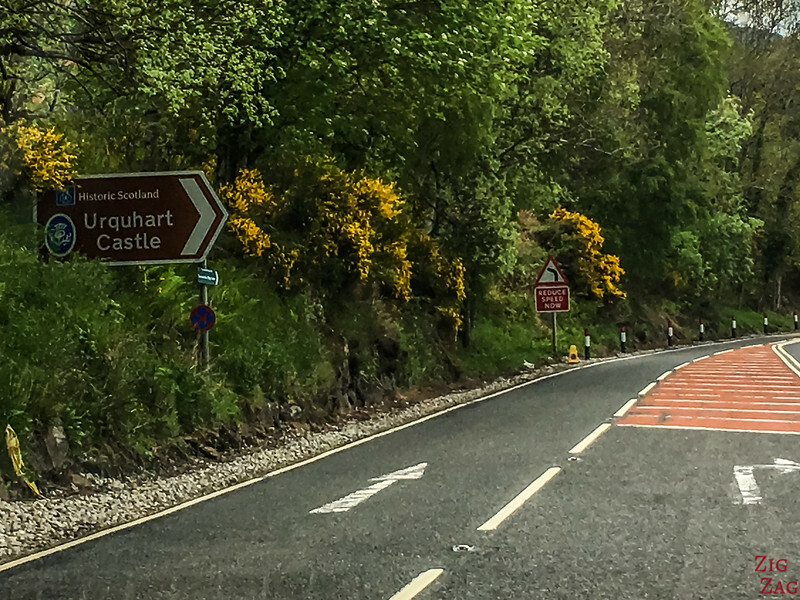 You will just have to wait for your turn as there are not many holes (as least when I visited). 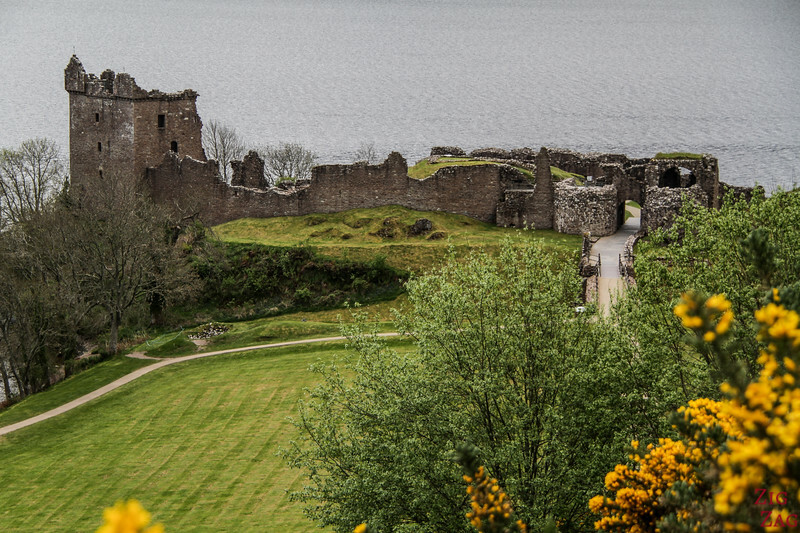 But if you walk up the parking and along the road, where the loch is the widest, you get unobstructed views of the Loch Ness Castle as well as nice views of Loch Ness. 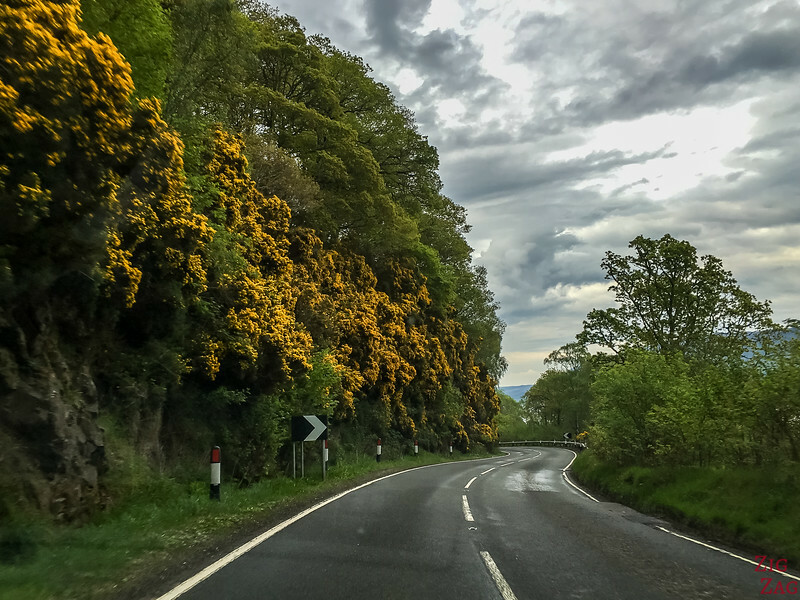 I was lucky that at the end of May the flowers were blooming, giving me a little bit of sunshine as the clouds were covering the sky. 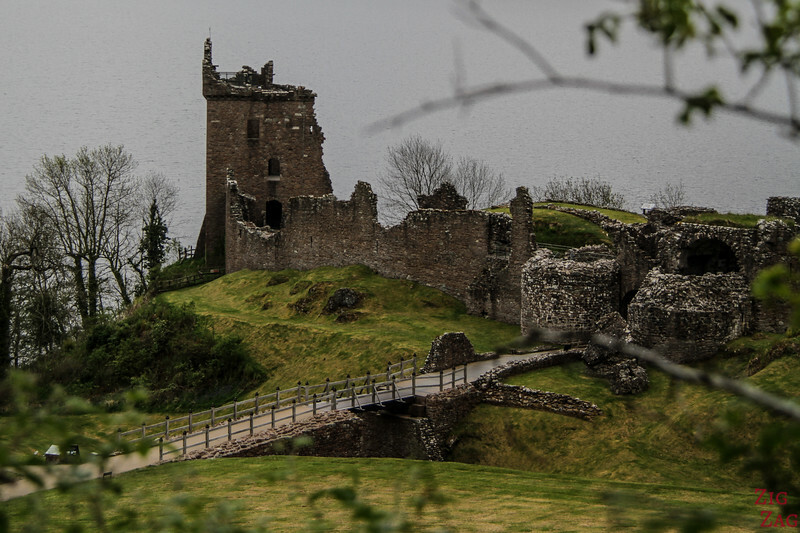 As you can see not much remains of the ruins so I was not disappointed to not being able to visit. 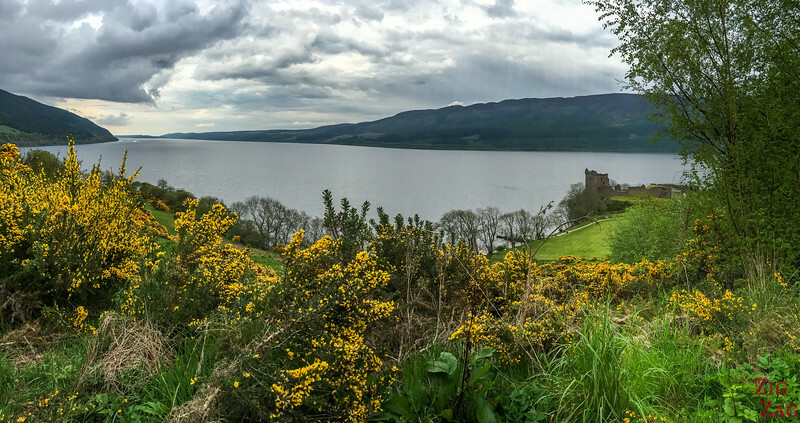 If you want to have a look at pictures of the Loch Ness Castle from the inside, check out Sara's post about Urquhart Castle Scotland. That way you can decide if you think it is worth it.